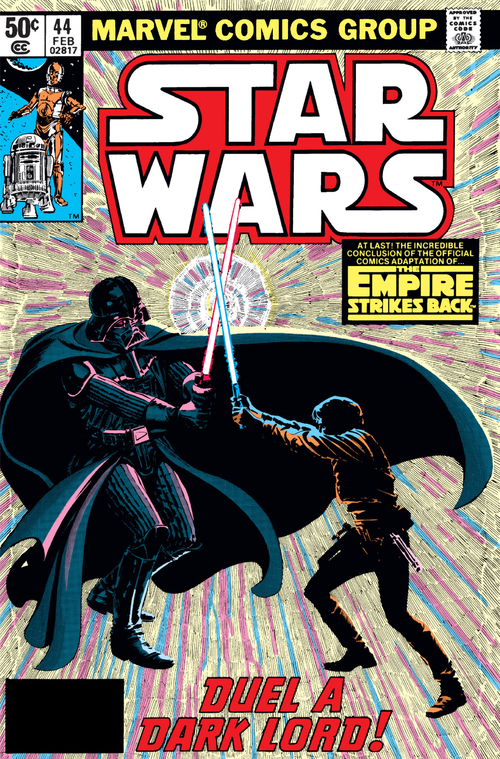 Instead of doing a separate comic adaption, Marvel adapted The Empire Strikes Back in it's monthly Star Wars book in issues #39 thru 44. This is the final issue of the adaption with a very cool cover featuring the duel between Luke Skywalker and Darth Vader, a pivitol moment in the film and the entire Star Wars saga. We just ranked the saga at TMIAJ and Empire was our #1 Star Wars film so this is cover is fitting with that article which you can read right here!